You will only be able to add a wireless device if your program has this option turned on or you are a PRO member in our community site. Pair your device via bluetooth with the Fitbit mobile app on your phone and make sure your device is synchronizing steps to the app. Login to your Fitbit account on the Fitbit website at www.fitbit.com and make sure that you see your device paired there and that you steps have been uploaded from the Fitbit app on your phone. Log into your Walker Tracker account and click on the Connect a device box on the right side of the dashboard. 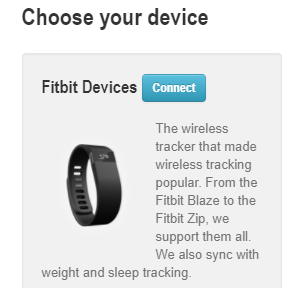 Click on the blue connect button in the Fitbit Options box. 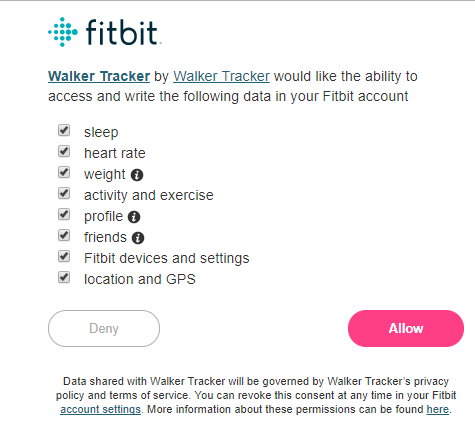 Click the Connect Fitbit button. 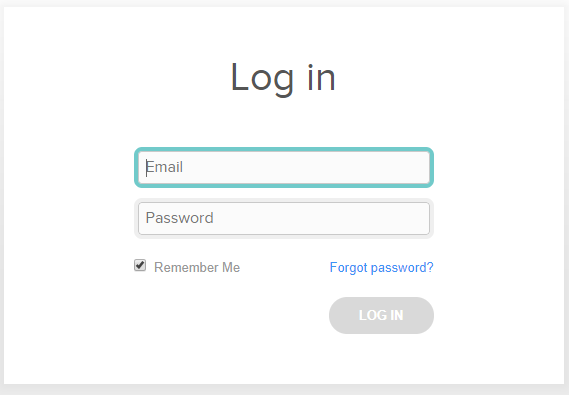 Enter your Fitbit login information. Leave all of the permissions settings checked and then click Allow. Make sure to sync your Fitbit regularly via the Fitbit app on your phone (you will need Bluetooth ON) or the USB dongle that came with the Fitbit. We cannot pull in steps until they have been uploaded to your Fitbit account via syncing through either of these options.